We’ve confirmed PaidContent’s report from earlier today that music startup Imeem has laid off 20 employees, or 25% of its total staff. Given the current economic climate, we decided to be proactive in cutting costs – before we needed to – for the long-term benefit of the business. Traffic appears to have peaked at 7 million unique visitors in July only to fall precipitously to 4.9 million uniques in September. 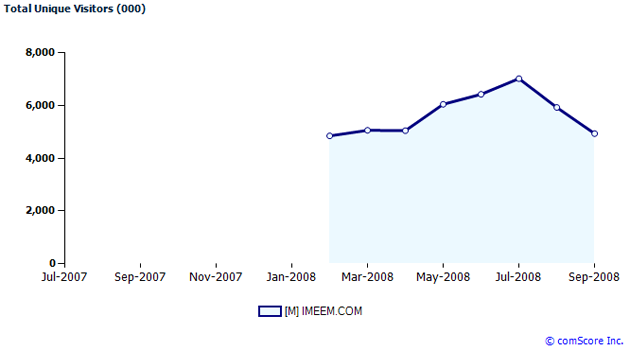 This puts Imeem back to where it stood in April traffic-wise. 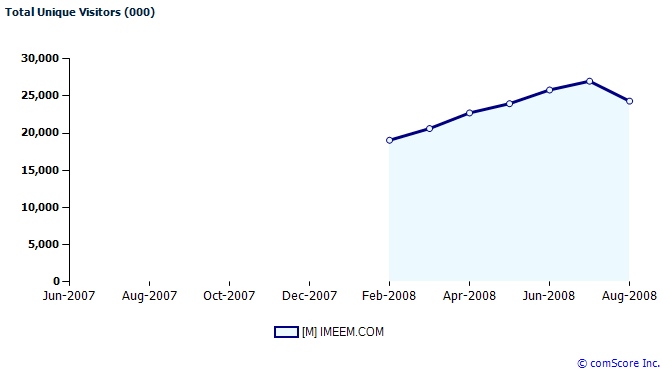 The reasons for Imeem’s cuts may be mixed: girding oneself for bleak economic conditions, readjusting performance expectations, and (as Paid Content suggests) shifting focus away from technical development and towards marketing. Whatever the reasons, Imeem’s surviving staff members have their work cut out for them; the free music streaming space is getting hot with competition from MySpace, iLike, Lala, and possibly Facebook as well. Imeem, a Sequoia Company, has been added to our ongoing Layoff Tracker.